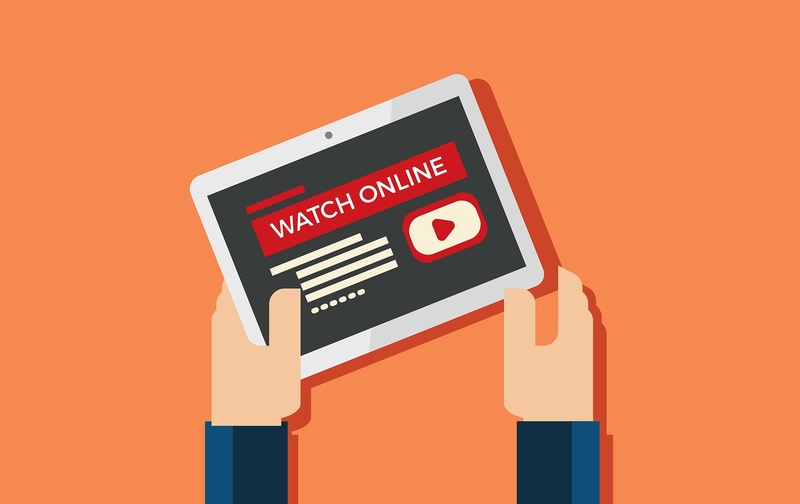 Video is an awesome way of engaging and growing your audience, but with so much video content already out there, it can be tricky to captivate your viewers. Whether your platform is YouTube, Facebook, or even Instagram, an integral player in this goal is your video thumbnail. When a user searches for (or even simply finds) a video, not only will its title show, but also an image we call a video thumbnail. This thumbnail is a video marketers chance to hook them. The traditional view of a thumbnail is just a freeze frame from the video, but not anymore. With the capability to upload a custom thumbnail, separate from the video, designers and marketers have a whole new world of video marketing tactics. Your video thumbnail can sometimes be the one thing between you and a new audience or even customer. It should be captivating and quickly give the viewer some insight into what your video is all about. Text can be used to help support your title or give a quick idea of what the user will be watching. Marketing Cloud suggests not using more than six words in your video thumbnail, which is a good idea considering many users will be seeing it from a mobile device, where it will be about the size of a postage stamp. With this in mind, you’ll want to make sure that what every word you put in your thumbnail is large and bold enough to add value at even its smallest size. Use text that will quickly summarize your story, resonate with your audience, and build curiosity in the viewer (ex. “Keep watching to see what happens next!”). Gary Vee, for example, draws us in with a bit of drama and controversy in this thumbnail. He doesn’t duplicate the title of the video, but rather uses three words that give us a sneak peak into what the video is actually about. ...Ok, not too graphic, but you do want to make sure your thumbnail stands out. Use contrast and bold colors to create visual hierarchy and draw the eye to your thumbnail in newsfeeds or search results. Doing this will ensure your focal point stands out and is easily recognizable as users are scrolling. Make good use of contrasting colors and the color yellow as much as possible. Thumbnails that include yellow have statistically performed better. This is due to the fact the the color yellow triggers more receptors in the human eye. YouTube personality, Shane Dawson uses yellow in almost every one of his thumbnails. With over 9 millions subscribers, he must be doing something right. YouTube entertainer, GRAV3YARDGIRL’s thumbnails (seen above) are jam-packed with wild, expressive faces that certainly grab your attention. I’ve catered a lot to the king of video, YouTube, so far, but there are other video giants out there like Vimeo and the increasingly popular, Facebook Live. It’s important to know your platform and modify your thumbnail accordingly. , Different platforms have different specifications, regulations, or even overlay their own items (like logo or timestamps). For example, YouTube utilizes a small part of the bottom right corner for a timestamp, but Facebook video automatically overlays your default photo, a timestamp, and possibly a “Watched” tag. So, if you’re creating a thumbnail specifically for Facebook Video, be aware of the safe zones and I would recommend keeping your logo out of it (no need for duplicates). Check out this example of Facebook Video thumbnails, sponsored by my embarrassing watch history! I feel like I’m beating a dead horse with this one, but it’s SUPER important. Your thumbnails will be viewed at all different sizes from mobile to desktop, to even large 60” TVs, so, whatever you design needs to work for all sizes. The last thing you want is for someone to find your low-resolution or poorly laid-out thumbnail and think it’s representative of your video quality. Let’s talk about branding for a minute. Keeping your videos on brand with your corporate identity is just as important as keeping any other piece of content you put out there, BUT you also have the option to expand your brand a bit to house a special video identity. This gives you the freedom to make really, eye-catching thumbnails that may not be exactly part of your main identity. The key is consistency. As long as you stay true to the brand of your channel, your audience will grow and build awareness of that as a part of your overarching brand by association. . The New York Times keeps it simple and classy by overlaying their logomark over the bottom right corner of every thumbnail. Taco Bell, however, uses a spin off their branded purple and yellow, creating consistency with the same font, treatments, and placement. As a marketer, you should always be coming back to data and testing! Unfortunately, there is no native way to A/B test in YouTube, but you can call upon tools like TubeBuddy to help evaluate your video thumbnail performance (as well as a whole slew of other things). This will give you the definitive insight you need to evolve and tweak your thumbnails and ultimately, deliver what really attracts your audience. .
Video thumbnails absolutely CAN NOT be overlooked when getting into video marketing. From utilizing the facial expressions and emotions to calling on color theory and contrast, there are just so many ways you can use them to your advantage.